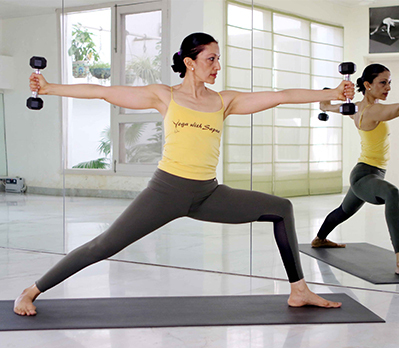 I started my studio “Yoga with Sapna” in 2004, in Gurgaon, India. Classes. My studio accommodates twenty six people in a serene space. Testimonials. I teach all classes myself. Each student’s needs are addressed individually. 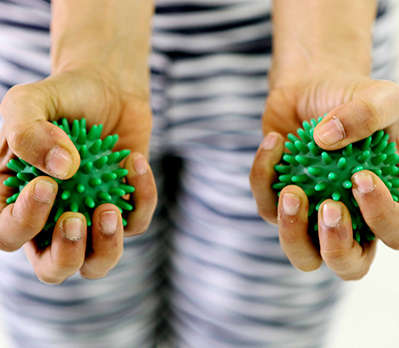 I demonstrate everything by doing the full class myself along with the students, and showing variations suitable for different needs and skill levels. Each class is different. I prepare every class to be a new and special experience. 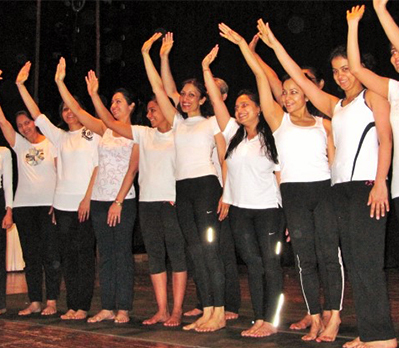 All classes encompass asanas, often with special variations, pranayama (yogic breathing), and meditation. I have choreographed several unique yoga sequences set to music that I often incorporate in my classes. I have my own curated selection of music from around the world that harmonizes with yoga. My studio provides a comfortable environment with full power back-up, air conditioning, mineral water, freshly laundered cotton towels, changing area, and floor to ceiling mirrors. 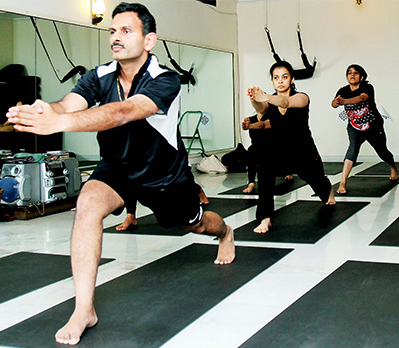 Yoga with Sapna studio provides an extensive range of high quality equipment. 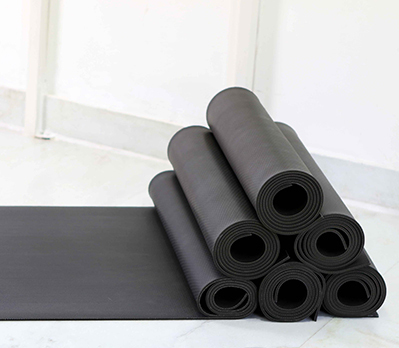 I have selected the best tools and aids for yoga from around the world. Many of these items have been specially imported. 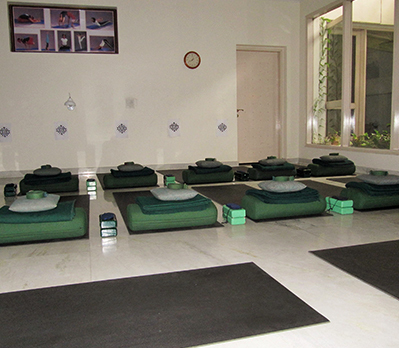 I have equipped my studio to maximize the learning and yoga practice of my students. Studio Location.